Allen Reil, 70, of Milbank, SD, passed away peacefully on July 21, 2018, at the Milbank Care and Rehab Center, surrounded by his family. Funeral services will be held on Wednesday, July 25, 2018, at 2pm at Emanuel Lutheran Church in Milbank. Visitation will be held on Tuesday, July 24, from 5 to 7pm at Mundwiler Funeral Home and will continue 1 hour prior to services on Wednesday. Pastor Tim Rynearson will officiate, and interment will be in the Milbank City Cemetery. Allen Lee Reil was born on March 11, 1948, in Ortonville, MN, to Roland and Caroline (Gerdes) Reil. He grew up in the Wilmot/Corona area and graduated from Corona High School in 1966. After graduation, Allen enlisted in the Army and joined the National Guard. Allen worked as a Milbank Police Officer. He also drove truck for Frigo Cheese and Hedge & Herberg. He was an active member of Emanuel Lutheran Church. 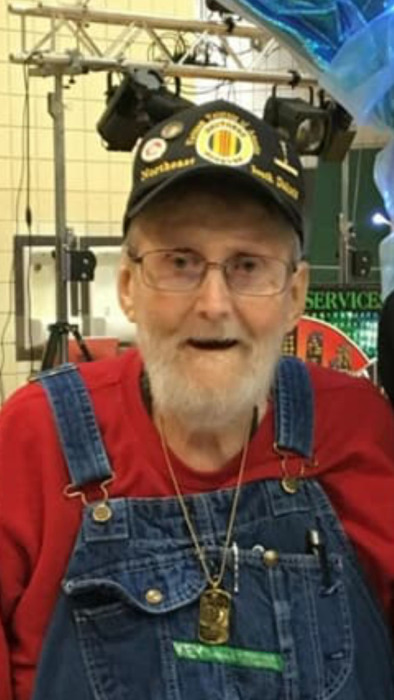 Allen was very active with DAV, the American Legion, VFW, and VVA. He was a great story teller and loved telling stories to his family and friends . Allen loved traveling to visit his siblings. He especially loved his yearly Florida trips with his brothers. He enjoyed riding motorcycle: especially in parades. He loved spending time at the lake with friends and family. He also enjoyed boating, pheasant hunting, and fishing. But his favorite pastime was spending time with his children and grandchildren. Allen always had a stash of candy for himself and his grandchildren. Allen is survived by his children: Tracy (Wayne) Loeschke of Milbank, SD; Misty (John) Weyh of Milbank, SD; Gary (Michelle) Reil of Sioux Falls, SD; nine grandchildren: Alicia (Tyler) Adelman, Austin Loeschke, Madison Reil, Alex Loeschke, Kaylee Reil, Cody Reil, Samantha Reil, Sydnee Weyh, and Whitney Weyh; one great-granddaughter, Tenley Adelman; siblings: LaWayne Reil of Corona, SD; Rodney (Bojo) Reil of Corona, SD; Dennis (Karen) Reil of Beloit, WI; Tim Reil of Jacksonville, FL; and Kimberly (William) Burke of Colorado Springs, CO; and numerous nieces, nephews, and friends.